While you might think at first that anemones are difficult to plant, let alone cultivate, little did you know that they are probably one of the easiest flowers to grow out there. By having just a few, simple tools, you can get set up to growing some of the best anemones in no time. There are a lots type of soil. As its name suggests, well-drained soil is necessary to let water flow through it easily, without pooling on the surface and thereby getting to the essential nutrients needed to help the plant grow. 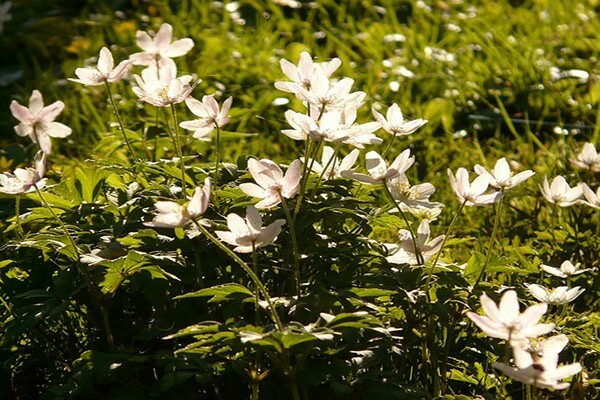 In the case of anemones, a good, well-drained soil allows for all their cultivation to take place. Sometimes, it is not enough just to have well-drained soil to make your anemones bloom successfully. In fact, you might need to add some organic material in order to make it a bit more well-drained, as well as more nourished in the process. That said, some organic material you might want to consider using include peat moss, ground bark, compost, or decomposed manure, organic fertilizers . In essence, all these materials allow for better drainage, and that in the end is all you really need. Ever wondered how anemones get started in planting? Essentially, they begin from anemone corms, which actually resemble small acorns rather than traditional planting seeds. Although they might look small, they will surprise you by yielding many flowers! Depending on whether you would like to plant your anemones outside in the garden bed or inside a pot or urn, this point will be optional. If you do decide to do the latter, then it is important to find a strong, sturdy pot, urn, or tub to make sure that the anemones are well-supported while growing. Of course, what plant cannot grow without sunlight and water? 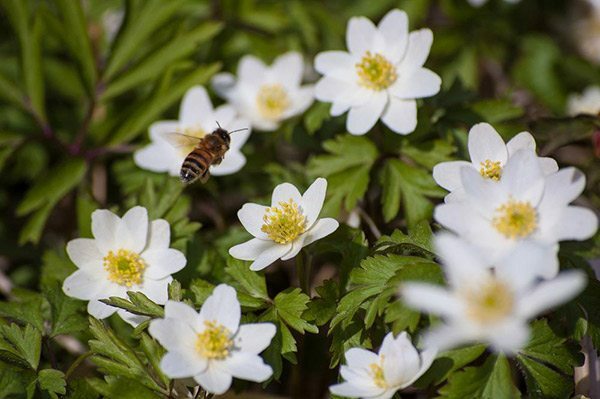 Two of nature’s key ingredients, they nourish the anemone corms along with the well-drained soil and organic material to produce tall, bright, and healthy flowers to enjoy looking at while at home. Make sure you have access to these two items in your environment, for they make a big difference when their presence is at varying degrees of intensity. For instance, if you are lacking consistent sunlight where you live, then you might want to consider using grow lights to help supplement and make up for what is lacking around you. After all, it is worth a try! 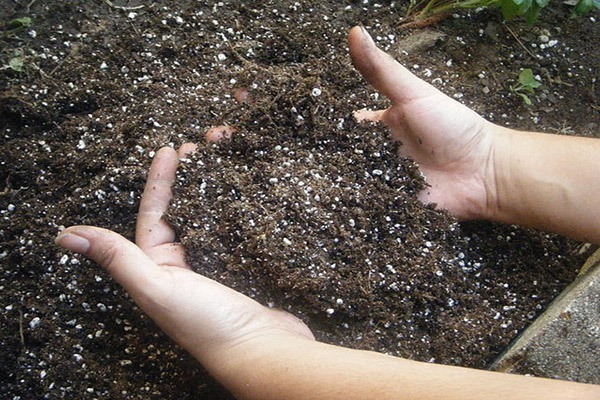 While well-drained soil cannot be created, but rather occur naturally, it is essential, then, to test out whether the soil in your garden is or is not. Test it out by digging a small hole and pouring water into it before counting how long it take for the soil to soak it up. If it drains in less than 10 minutes, then it is good to go. If you do not happen to have well-drained soil, you can improve it by raising the flower bed and adding organic material to help it out. Once you have it down, you are ready to move on to the next step. Well-drained soil can be transferred easily to other parts of the garden, especially an area with a good amount of sunlight to nourish it. Ideally, the location should feature half to a full day’s worth of sun, as means of keeping it consistent for the anemones to grow. Again, if you are having trouble finding a good location with adequate sunlight, then investing in a grow light is not a bad idea to consider. In order to activate their growing process, soak the anemone corms in water between 3 to 5 hours, although soaking them overnight is acceptable as well. By soaking them in water, it not only germinates them to be ready to be planted into the soil, but also to cultivate strong roots during their first year of growing. Once they have been soaked, plant the anemone corms into the well-drained soil. 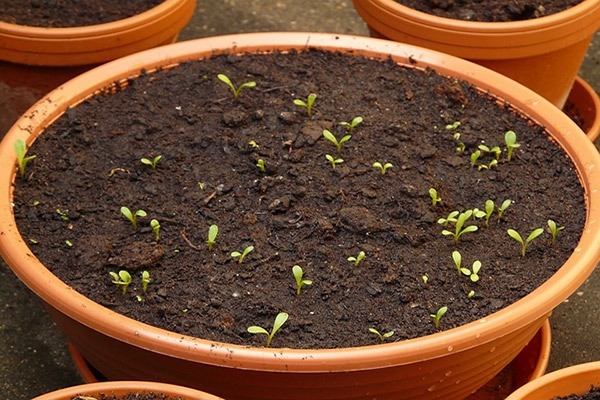 Do so by planting them about 1 to 2 inches down in the flower bed and do not worry if you plant them up one way or the other: they will all eventually grow up normally. Give the anemone corms just enough water to have the plants soak it up, and make sure to water them regularly throughout its growing process. 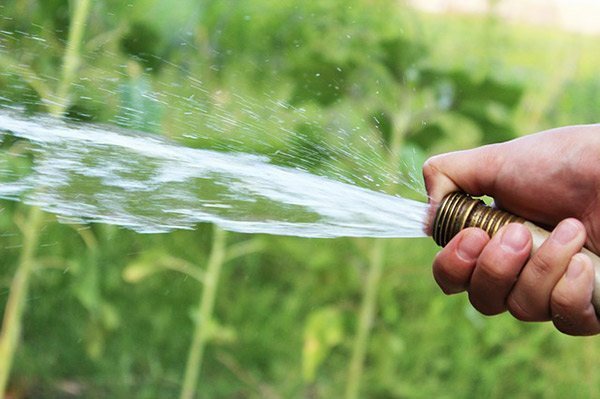 Strike a balance between watering too little and too much, since both extremes can yield disastrous results. As a rule of thumb, one inch of water per week should do the trick. Once the anemones have bloomed, you can cut them off and use them as a lovely arrangement decoration in your house. Leave the foliage and roots behind in the flower bed. Wait until the foliage yellows and dies in the winter before removing them. The remaining plant will remain dormant until spring comes and starts re-sprouting. 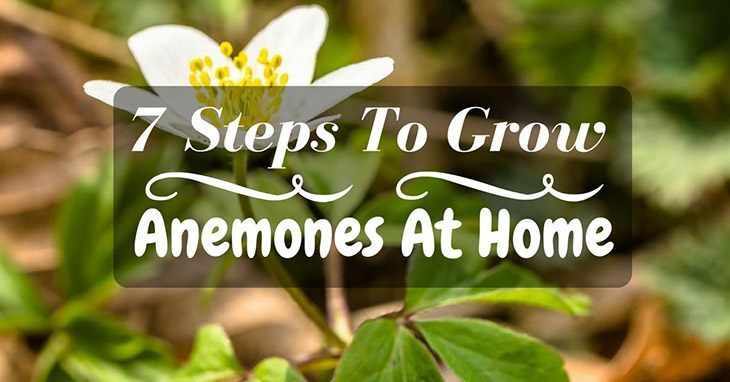 All in all, growing anemones is a great way not only to test out your green thumb skills, but also to spice up the usual gardening experience by having some new, colorful flowers in your garden. By doing some research beforehand and making sure that you have all the tools you need, you can set out to grow some great anemones at home.